Have you ever wanted to make a professional business taking stunning pictures from hundreds of feet in the air? Drone hobbyists have begun taking their skills piloting the small aircraft into the world of professional photography, creating stunning art pieces. Drone piloting has become one of the swiftest growing hobbies, with hundreds of thousands registered and more to come. 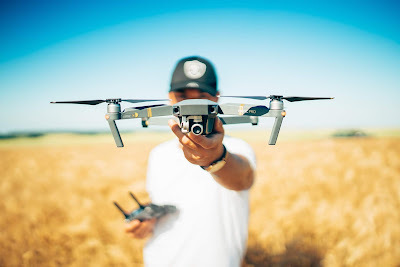 As the trends grow, let’s take a glance at what you need to take your drone hobby to a professional photography business. Drone photography is an incredibly dynamic method of photography that differs immensely from traditional photography. The rules of lighting and focus change when the lens is dozens, maybe hundreds of feet in the air. This advanced method of photography allows budding professional photographers to achieve unique shots that may not be achievable through the use of traditional photography. The mobile nature of drones also lends itself well to videography, for photographers that may wish to dip their toes into that pool. It goes without saying that you’ll need a drone with camera capabilities, but how do you pick the best gear? The best thing that you can do is lay out a budget that you feel comfortable allocating to your professional efforts and act accordingly. There’s a great number of high-quality drones that come equipped with cameras, so do enough research to determine which fits your needs. 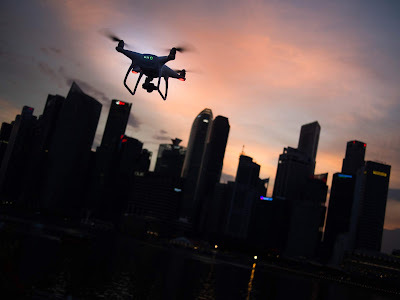 Depending on your experience piloting drones, budding professionals may find it useful to purchase a cheaper drone to practice their skills on. 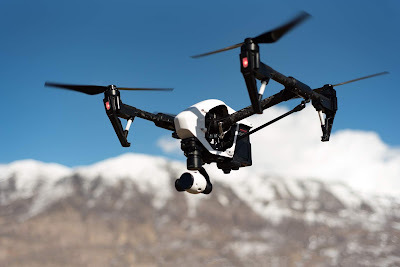 This can help lower the chance of accidents while piloting the camera drone that you intend to base your photography business around. Past ensuring you have the proper drone for your uses, much of the gear needed is the same as for traditional photography. You may not need a tripod, but photographers make use of multiple different lenses, cameras, lighting, and photo editing software. Make sure that you account for these in your budget as well, as they’re just as necessary to your photography career as the drone itself. Depending on where you are and what gear you’re using, there’s a good chance you’ll need to license your drone. In all likelihood, you may have already done this as a drone hobbyist, but you may have had to make a new investment to have the best camera for your needs. Over the last few years, the United States Federal Aviation Administration began to add to the rules and regulations that drone operators must follow. It’s vital to make sure that your equipment and usage complies by these regulations, or your photography business won’t be able to make it off the ground. There are some techniques that apply to traditional photography that fly right out the window once the camera is airborne. For example, utilizing a camera’s zoom is a swift way to ruin a photo taken with a drone. The vibration of the propellers is exponentially magnified the more zoomed the camera is, rendering zooming useless. There’s a stunning number of differences between traditional and drone photography, so work towards practicing what new techniques work and what old ones won’t. If you don’t have enough practice piloting a drone, use this training period to practice some simple maneuvers until you’re comfortable. It’s strongly suggested that you don’t attach cameras until you know how to pilot the drone alone to help prevent accidents. The most important part of any creative freelance adventure like photography is to have a compelling and interesting portfolio. If you intend to base your photography around a specific genre, like wedding or newborn photographers, fill your portfolio with your favorite pictures you’ve taken that show your ability in that topic. Similarly, if you intend to be a general photographer with no specific specialty, make your portfolio as diverse as possible. There’s a fine line when it comes to building your portfolio. It's useful to have a sizable portfolio, but not one so massive that possible clients find it a chore to look through hundreds upon hundreds of pictures. Photographers also must take special care to make sure that each photo in the portfolio serves as a powerful representation of their abilities and skills, so avoid putting in any photograph that isn’t high quality. Many experts recommend having no more than a dozen photos, so pick and choose your absolute best for your portfolio. Once you’ve built a portfolio for drone photography, you can utilize it to begin to build a platform. In the information age, social media is one of the fastest and most effective ways to build an audience. About 77% of businesses use social media to market and platform their services, and your budding professional photography will be best served by following the same plan. It’s important not to limit yourself to one social media platform, so work towards a platform on everything from Facebook to LinkedIn. That said, Instagram is incredibly popular for professional freelance photographers due to the photo-heavy basis of the website. Those dipping their toes into videography would likely find expanding onto popular video platforms like YouTube to bring as much attention as possible to their efforts. Building a business takes a massive amount of effort and patience, so don’t expect to blossom into a huge following over a week. Treat the clients that come your way with respect and a professional decorum to help build a reputation that keeps clients returning and your business growing. Above all, never give up! Creative pursuits can take a lot, and professional photography requires a lot of time and practice in shooting and editing. 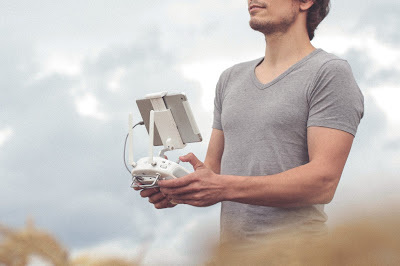 You’ll be adding in the skill needed to pilot a drone-operated camera as well, so expect to spend plenty of time practicing and honing your skills. With the proper work put in, you’ll be able to turn your recreational drone hobby into a professional photography business.